Some role-play gamers are happy to sit around a table with nothing more than a sheet of paper (and some don’t even need that). I’m not one of them. I want towering dragons and hordes of zombies to shuffle around a gridded map, with detailed props and scenery. My imagination works just fine thank you very much, but if I’m going to play a game, I want to play it in the most immersive way possible. That means little plastic miniatures. Lots of them. In the past, I’ve used dry-erase markers to map out landscapes onto a whiteboard, and even projected scenes from the underside of a frosted glass tabletop. But here’s a new way of doing it: 3D printing physical terrain pieces. You can even 3D print some miniatures if your collection doesn’t have the perfect tentacle monster that the campaign finale calls for. Or how about designing your own unique monsters that have never before been seen in any bestiary? Not into Dungeons and Dragons? Check out these other 3D printable games instead 6 Coolest Games You Can 3D Print at Home 6 Coolest Games You Can 3D Print at Home Everyone knows about 3D printers, but what you might not know is how fun 3D printing is, and how much fun it can create for your whole family. 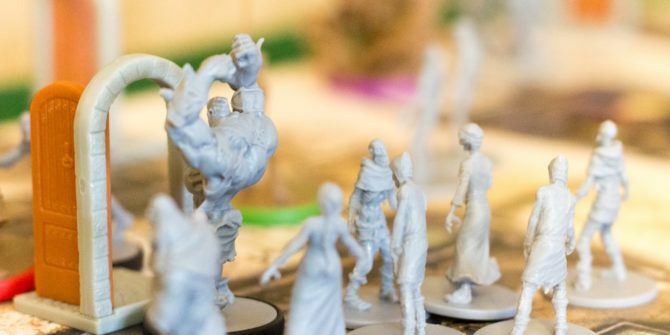 We're talking 3D printed tabletop games. Read More ! Before you start printing a bunch of miniatures, it’s important to set your expectations appropriately. Understand that the power of 3D printing is not in the ability to churn out hundreds of highly detailed models like a factory production line. Rather, it’s that you can print custom one-off pieces not commercially available, or even design your own. 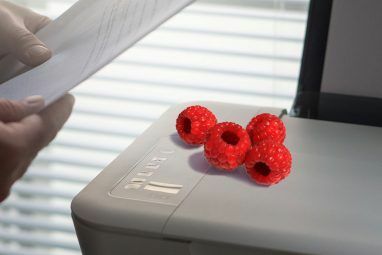 The print quality you can get from a consumer 3D printer 30 Useful Ways 3D Printing Could Be Used At Home 30 Useful Ways 3D Printing Could Be Used At Home In the future, 3D printers will be as essential in a home as having a smartphone or wireless Internet. 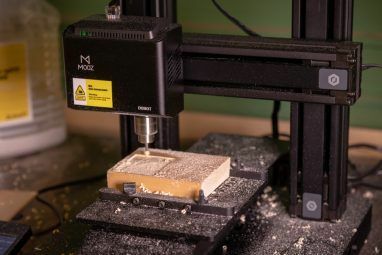 Here's a glimpse into the things you can 3D print already to upgrade your home. Read More is not quite what you’ll get from something that’s been commercially injection moulded. But, it can be a lot cheaper: approximately $0.10 or $0.20 worth of filament for a single model, and you can choose the color! It’s also worth noting that counter-intuitively, larger miniatures are generally easier to print. Tiny little tieflings with wafer thin legs are likely to disappoint and result in spaghetti on your print bed, but a gelatinous cube that can envelop players in toxic green translucent PLA will likely be a success. Lack the skill to start to build from scratch? Not a problem! There’s a growing archive of Medium sculpts to download, so you can just import existing designs and then tweak them by adding tentacles on all the things. One can never have enough tentacle monsters. No VR hardware? You’re in luck! Anyone with Windows 10 now has access to the Microsoft 3D Builder, which can print directly to many popular 3D printers. 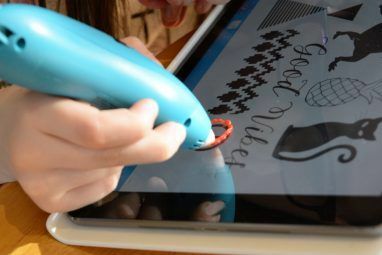 While this option is convenient, it’s not the only beginner 3D modelling tool 9 Apps To Easily Make 3D Printable Objects 9 Apps To Easily Make 3D Printable Objects One of the problems with 3D printing is getting a hold of things to print. You can of course download pre-made objects from a variety of places like Thingiverse; but if you want something unique... Read More out there. Not the creative type? Me neither. Don’t worry though — there are thousands of free models available that you can download and print. Manuel is a talented modeller who decided to go through the monster manual and model what he found, using Blender, a popular free modelling program.That’s 200 monsters, free for you to download and print. They’re available at Shapeways, so grab them while you can. You’ll need a free account. Thingiverse user Arian Croft (aka Dutchmogul) currently has 670 designs to his name, covering a range of modern and fantasy miniatures, robots, and dungeon decorations. Our favorite is the Scrying pool and collection of inserts for it, but these treasure chests and loot markers are also great to have on hand for all manner of tabletop games. Brent Newhall has compiled a comprehensive list of minis you can download on his site, so check that out too. The list is a little old and some of the links are dead, but there’s still some great finds in there. Of course, once you have some monsters, you need to decorate the dungeon and put up proper walls. This is a premium set of stone dungeon models with the unique ability to snap together. The Dragonlock provides rigidity while still being reusable. Print them in gray, then dry-brush the details. The starter kit costs $10, but it’s relatively limited. Each expansion pack costs another $10–$15, and you’re likely to want a few. Still, if you’ve paid $500 or more for a decent 3D printer 5 Cheap 3D Printers You Can Actually Buy Today 5 Cheap 3D Printers You Can Actually Buy Today A few years back, even the cheapest 3D printers were uncomfortably close to the $1,000 mark – now you can get a quality 3D printer for as low as $400. Read More , what’s another $50 for decent models? There’s also a free sample set if you want an idea of the models’ quality before buying. Fat Dragon Games advise that printing the models yourself will cost just under $0.50 per piece. The OpenForge set is simpler than DragonLock, and the current archive of parts doesn’t involve any kind of locking system between the pieces. But this set is completely free, and there’s a huge range of pieces available — not just dungeons! If you do enjoy these sets, consider supporting the designer on Patreon. For $1 per month you’ll get access to the base design files from which all the pieces are made, or for $2 per month you’ll be given a vote on future designs. From PrintableScenery comes Rampage, a modular lockable system similar to Dragonlock, but built on an open source connector design. The Rampage designs themselves aren’t free and only just came out of crowdfunding, so they’re still in the design stage. Still, keep your eye on these (the base files are available from Thingiverse). If you fancy your hand at designing some custom interlocking pieces, you can have a go — and expect to see others designs in the future. OpenForge has also begun to support the OpenLOCK system for use with their scenery. Note that OpenForge uses an ever-so-slightly different measurement, with 50mm tiles compared to two-inch tiles from PrintableScenery. However the difference is only 0.8mm, and falls within even standard printing error tolerances, so they should be compatible. It’s also worth noting that the Rampage system has detachable walls, thereby circumventing the problem that TrueTiles (below) attempts to fix by making everything bigger. Of course, this slightly complicates designs, and means you need to use intermediate pieces instead of just two-inch squares throughout. Our advice: pick a single system and stick with it. The premise of TrueTiles is that other tiling systems are broken, because walls take up a big part of the square and minis can’t fit. To build up maps with a shared wall, one part of the design is compromised and ends up being smaller than intended. TrueTiles fixes this by scaling all the tiles up to 1.25 inches each instead of one inch. This design choice allows for minis to fit onto tiles even when there’s a wall. Further, the wall heights are restricted so models with outstretched arms can still fit. Grab your pack here or download a sampler from DriveThruRPG. Based on the Pocket Tactics hex tile tray, Albert decided to remix them for use with Dungeons and Dragons. Who says DnD can’t be played on hexes instead of squares? It’s a little unconventional (perhaps your party is playing in an alternative dimension? ), but if you’re going to be using hex grids for other games anyway then you might as well stick to one system and adapt the rules. After printing the basic seven-hex tray, these props add interest and various height objects to your arena. If your printer can handle it, we reckon this dice tower by ClericAaron is an essential bit of kit. The model includes a couple of different tray designs to choose from, but this should be an easy print that only requires supports for the archway. If you only need a D20, may we suggest this stunning electronic D20 Roll in Style With This DIY Electronic D20 Die Roll in Style With This DIY Electronic D20 Die Want something a little unique at your next gaming meetup? Check out this DIY electronic D20, featuring custom graphics for critical hits and misses. Read More , with custom critical roll graphics on a cute lil’ OLED screen? These are our favorite models. Let us know yours in the comments! Explore more about: 3D Modeling, 3D Printing, Role-Playing Games.